Insolence Eau de Parfum arrives as more intensive, intoxicating and magical than its antecedent Insolence Eau de Toillete. 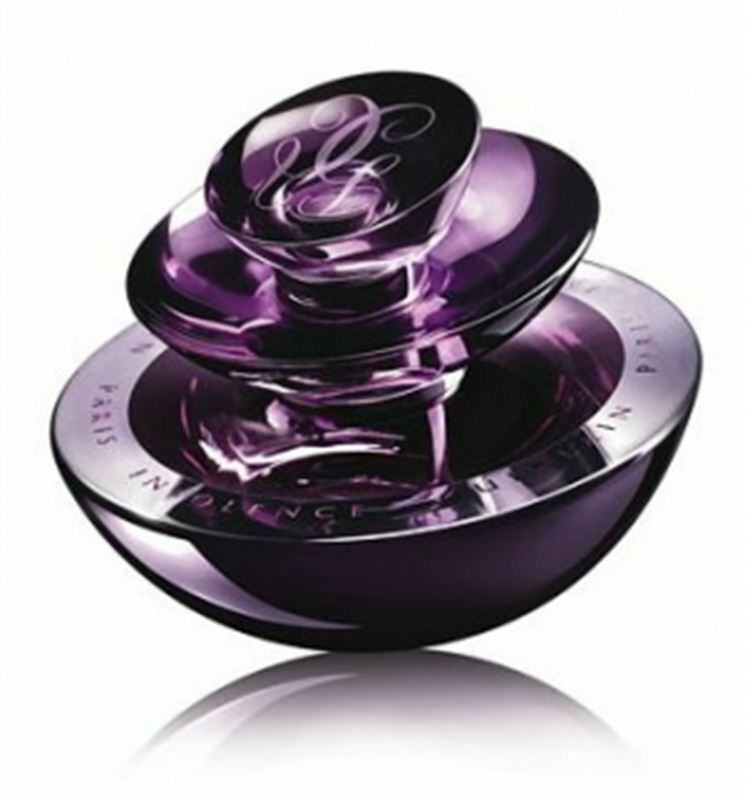 It features a new colour of the bottle which stands for intoxicating scents hiding inside it. The dark and seductive bottle is available as 30, 50 and 100 ml EDP. The composition is similar: accentuated iris and endlessly seductive violets which are set in the very heart of the perfume. The perfume was created for an eccentric and chic woman, who thrives for perfection. Insolence Eau de Parfum was launched in 2008. Insolence Eau de Parfum was created by Sylvaine Delacourte and Maurice Roucel.